Protect your iPad with one of our stylish folio cases! 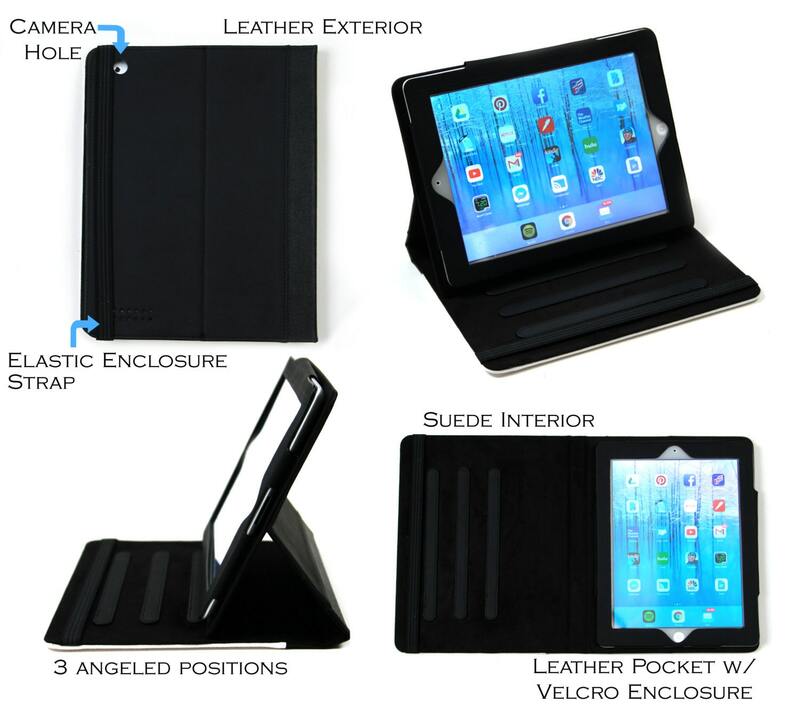 Create your own protective case that not only secures your iPad, but also provides a built-in stand with 3 angling positions. And the best part is that YOU get to design it! And that's it! 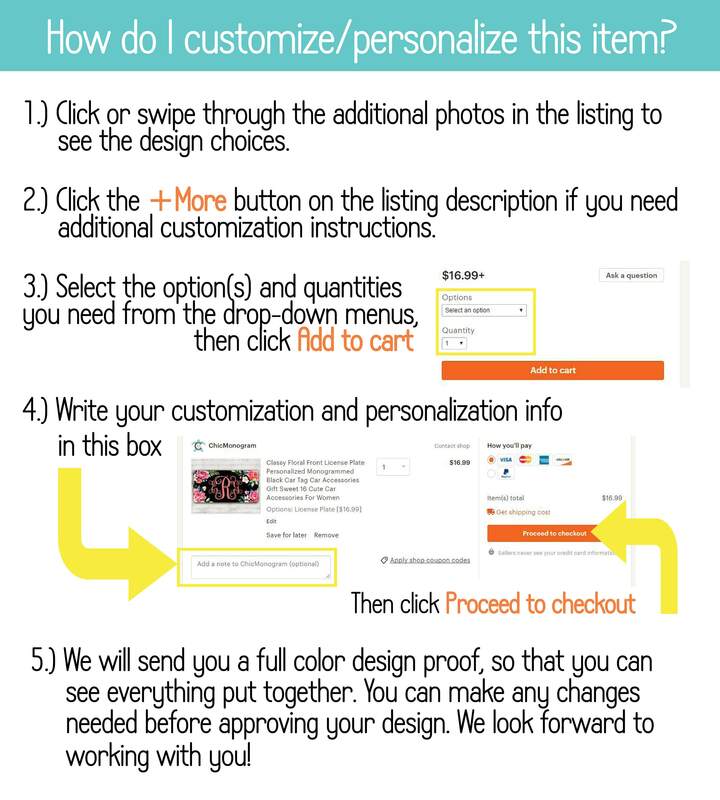 We will send you a proof VERY quickly for you to view and approve, before making your custom item! This clever case has a black leather exterior surrounding the front design, and a soft suede interior. It has a velcro pocket section to hold the device securely, an elastic strap to keep the case closed when not in use, and bracings for standing up your iPad in three angled positions. Check out my related items, any of which can be made to match! © Chic Monogram, 2017-2018. Unauthorized use and/or duplication of this material without express and written permission from the author and/or owner is strictly prohibited. 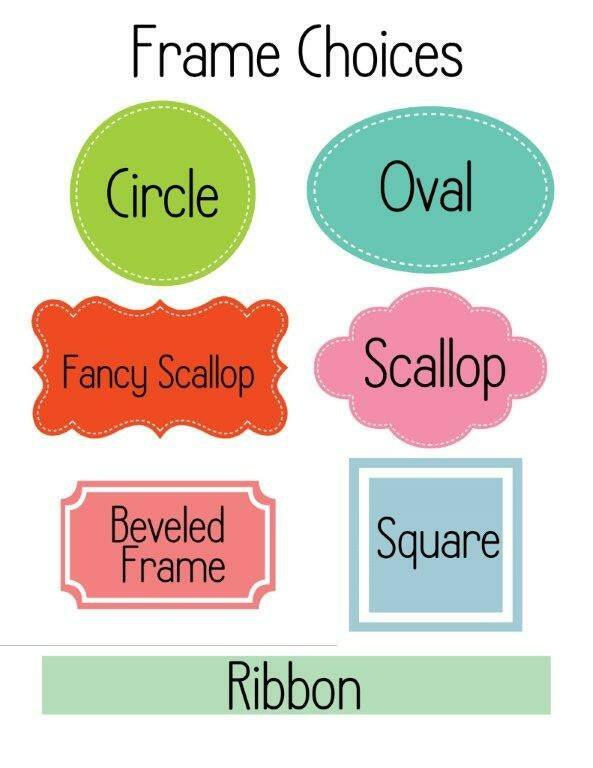 Excerpts and links may be used, provided that full and clear credit is given to Chic Monogram with appropriate and specific direction to the original content. We accept Paypal, direct checkout with credit cards and Etsy gift cards. Chic Monogram ships only domestically via USPS and FedEx with tracking numbers. If you wish to purchase a signature confirmation or insurance please let me know at the time your order is placed in the "Additional notes to Chic Monogram" section as you check out. Chic Monogram is not responsible for packages shipped to incorrect Etsy addresses on file. Once you have approved your proof, address changes are not possible. We ship quickly (Great Customer Service) and most items are shipped within 24 - 48 hours of proof approval. In addition, undeliverable, returned items are subject to an additional shipping and handling fee. Chic Monogram cannot be held responsible for lost, stolen or damaged packages. Also, we can not be held responsible for delayed deliveries that can occur during the holidays or inclement weather. It is the buyer's responsibility to let us know if your purchase requires expedited shipping at the time the order is placed. This information must be included in "Notes to the Seller." Expedited shipping and handling costs are the responsibility of the buyer. One of the hallmarks of our stellar customer service is our proofing process. Because our designing begins as soon as your order is received we are unable to issue full refunds. No one likes to work for free, right? 1) We can issue a refund, minus 25% of the item value for our design time. 2) We can issue you a full store credit, with no subtraction for design time. Once the design has been approved, and the item has been produced, there will be no refunds or credits issued. Each item we make is custom designed and custom made, so refunds and exchanges are not an option. If you have an issue with a product you have received, please contact us directly to discuss the issue. Items are not produced until after we receive proof approval (unless we've tried to reach you for seven days with no luck) which additionally ensures complete customer satisfaction. If we have not heard from you within 7 days, we will create your custom product as is. Please read each item description carefully. We can't be held responsible if you don't inform yourself properly, and we do not accept returns due to anticipated product vs.actual product. Inherent in purchasing items online is the inability to see the actual physical product. We do our best to communicate everything pertaining to our items through words and pictures, so please take the time to read thoroughly. If you have a question about materials, production process, etc., please ask. 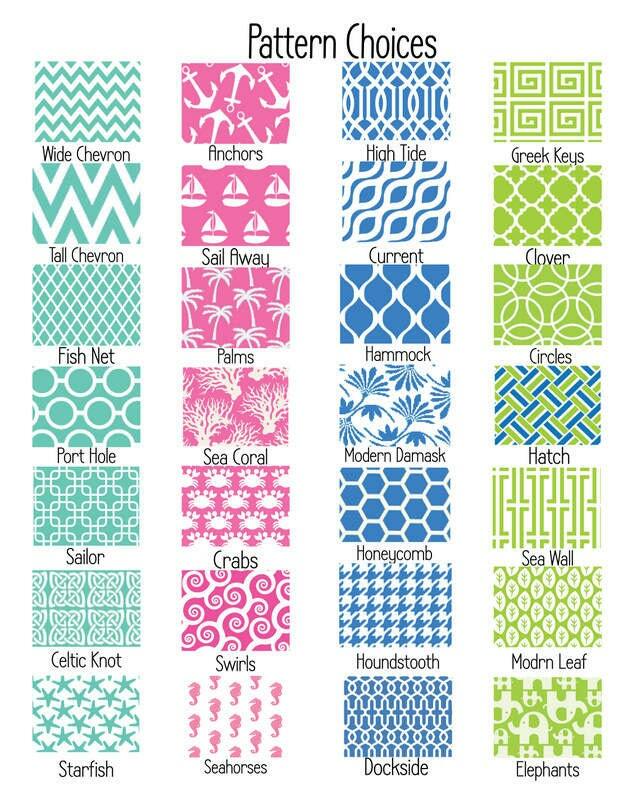 As you check out, you will see a box titled "Add a note to Chic Monogram". Please write your customization and personalization instructions in that box. If you have any questions on how to communicate this to us, please send us a message. 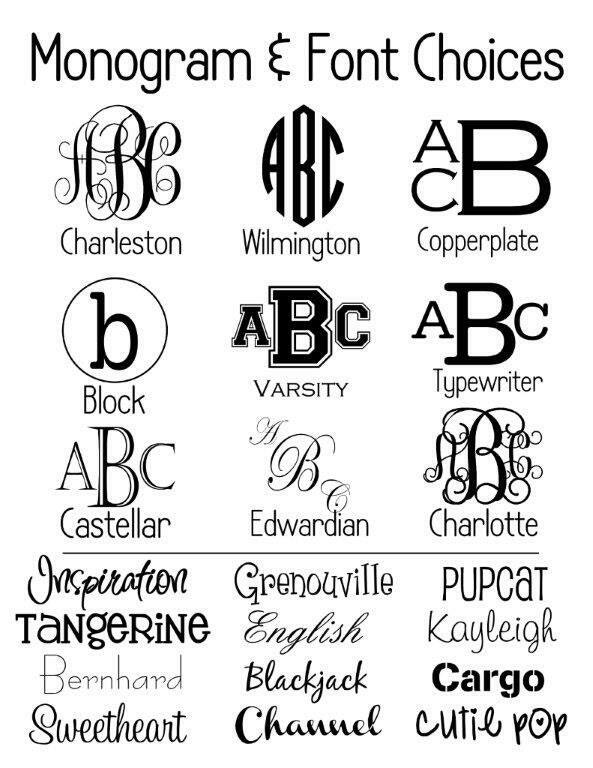 Please give us the full name for the monogram (first, LAST, middle), so that we can apply the initials to the traditional monogram style most accurately. Chic Monogram is not responsible for damage to any property such as technical devices incurred during the use, application or installation of our products. We can not guarantee that any device case/cover will fully protect devices from damage due to water or dropping the device. Please use the Etsy message system for all questions and orders. We do not communicate via email. Every attempt will be made to send proofs in an exceptionally speedy manner. If the buyer does not approve the proof or does not answer any design related questions within seven days, the item will be produced with the information available and shipped without buyer approval. No refunds or re-dos will be issued. All photos are property of Chic Monogram and may not be reproduced in any manner without permission. Words that add magic to life! A: Everything we do is custom! To purchase and customize your item(s), please add everything that you want to purchase into your cart and proceed to checkout. 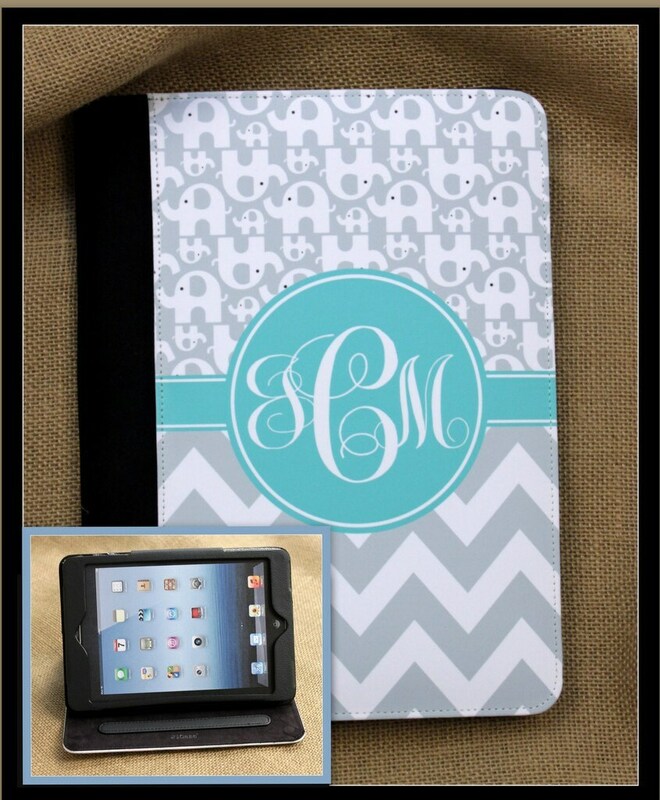 As you check out, you will see a text box titled "Add a note to Chic Monogram". Please write your customization and personalization instructions in that box. 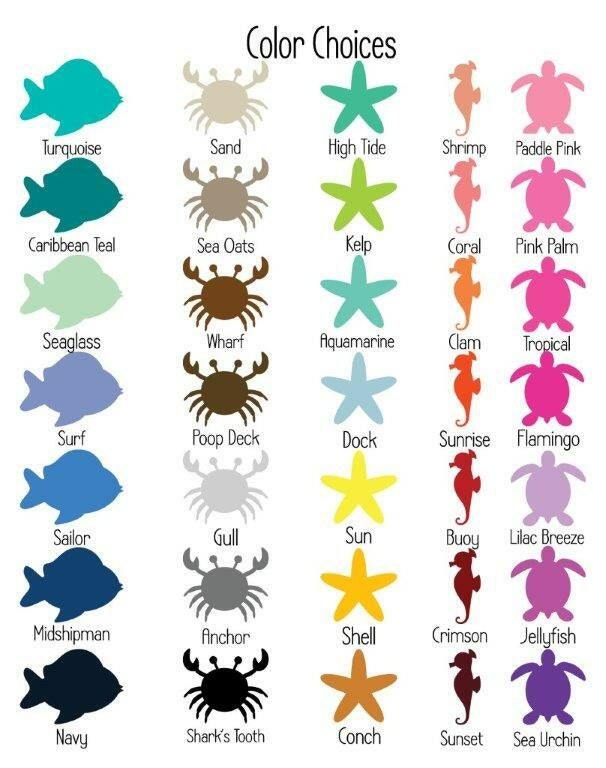 Once I receive your order, I will send a full-color design proof for you to review and approve. You will have plenty of time to make any changes needed, if you want to tweak things after you see your proof. Q: Will I get to see my design before you make my order? A: Yes! One stellar feature of the Chic Monogram experience is our proofing process! After I receive your order, I will send you a full-color design proof via Etsy messaging or email as quickly as possible (usually within 1 business day - if not much sooner!). When you receive your proof, you can respond with your approval of the design, OR we can make any changes needed at that point. After receiving your approval, I will proceed with making your item(s). If I don't hear from you after 7 days, I will go ahead and put your order into production at that point.